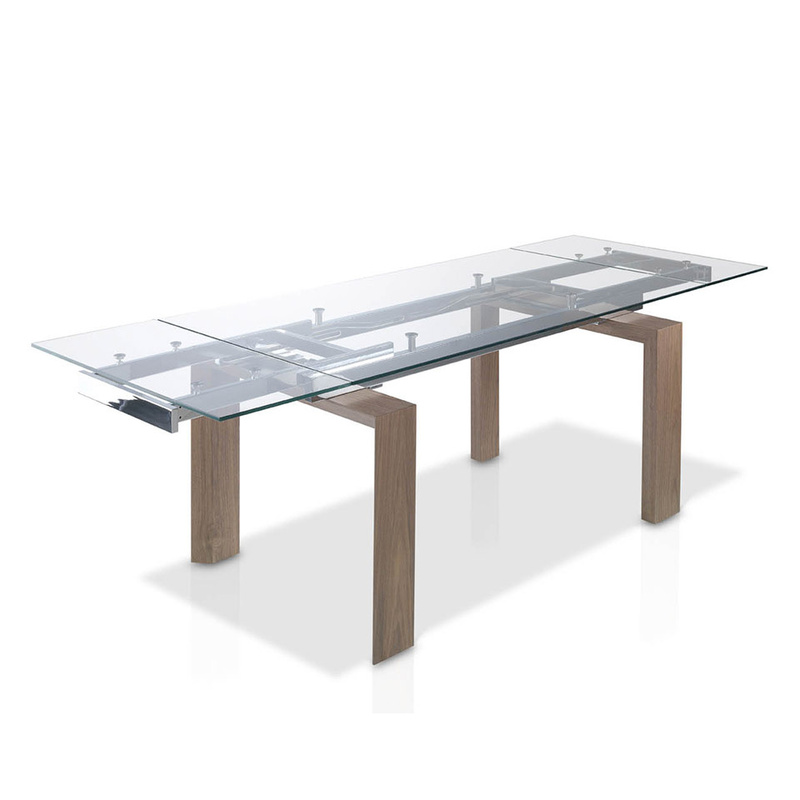 Baron extendable dining table in walnut with tempered clear glass top. Unique design with clear view of intricate extending stainless steel mechanism makes the Baron interesting and unusual. 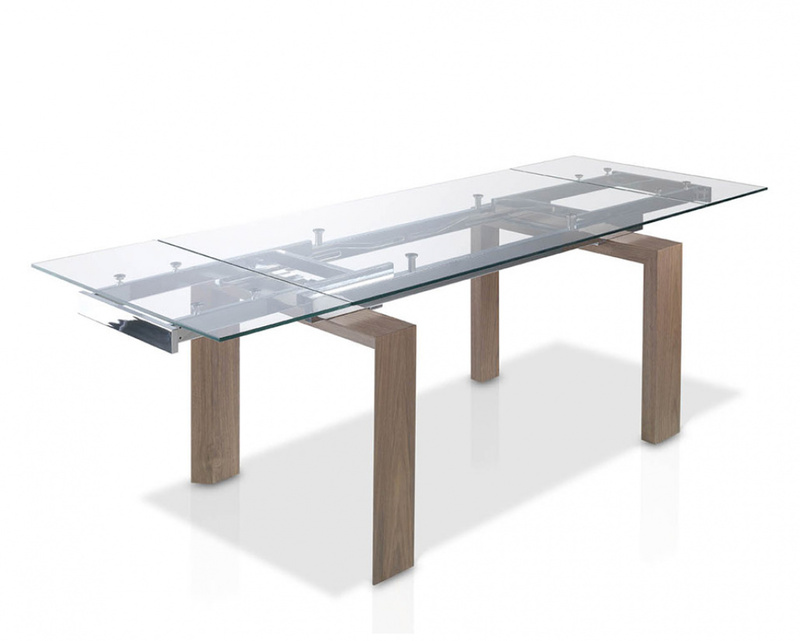 Four walnut support legs with mitred cross channel support.